Today I'm back with you to share another layout created for Just Nick Studio, using one of the many fabulous new background in the shop. I'm hoping to start document some of my older photos I have being collecting through the years, and for this page I'm starting with a photo of my parents taken on vacation in Grenada in May, 1991. 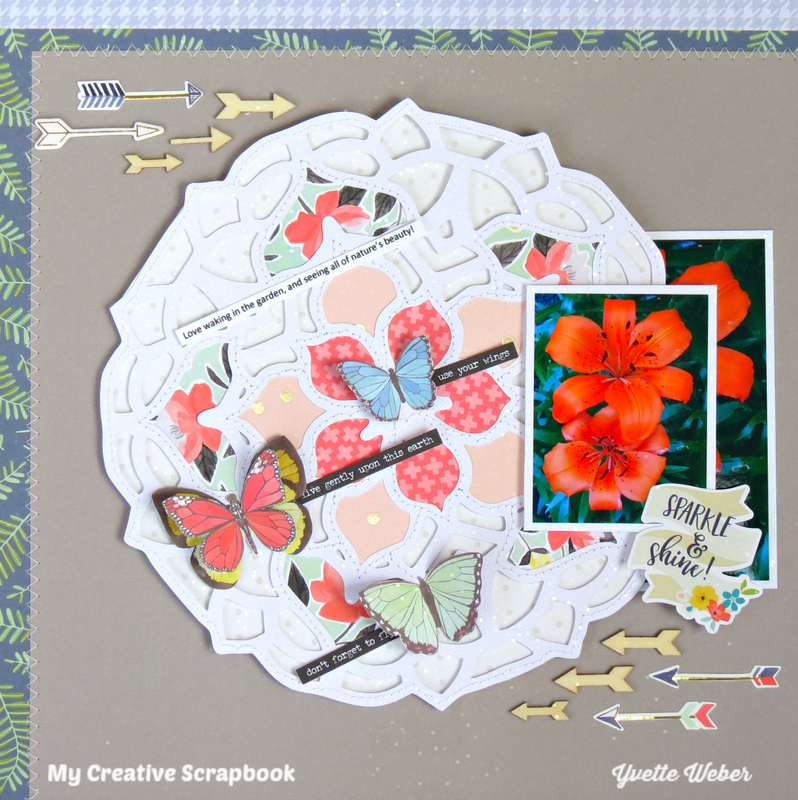 For my layout this week I used two cut files...Floral Lattice Background with the Doodle Flowers. 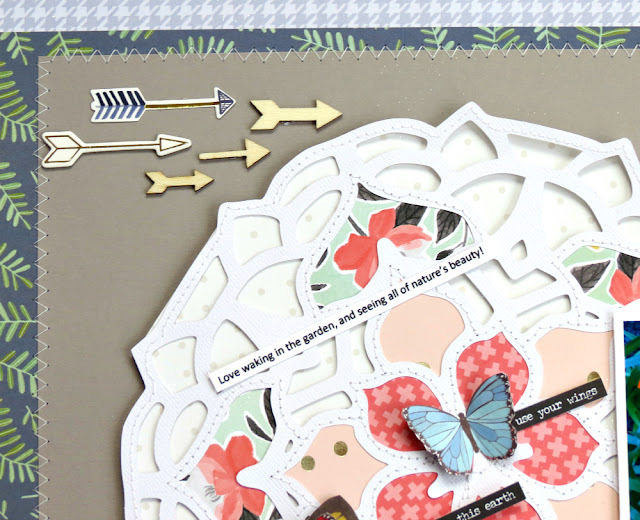 I cut the Floral Lattice background from some white cardstock and back it with some patterned paper from Fancy Pants Design-Summer Sun collection. 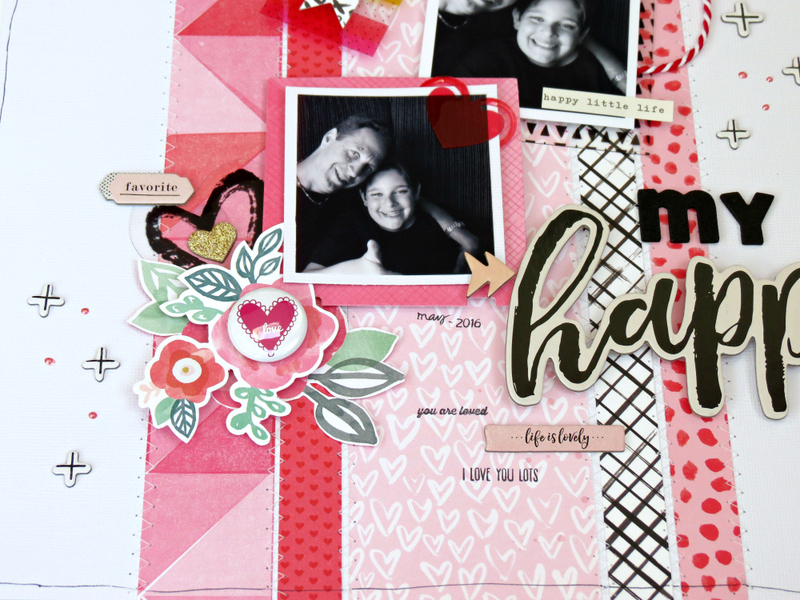 I then back the entire cut file with a wood grain patterned paper and machine stitched around the edges, added some foam tape and adhere the cut file to a 12x12 patterned paper. 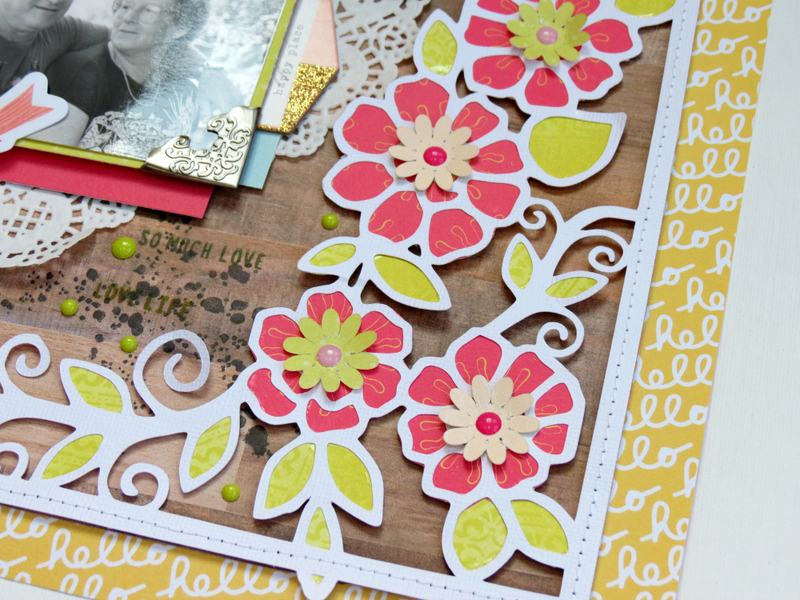 I cut several smaller flowers from the Doodle Flowers cut file to add a little more interest and height to the middle of the background flowers and placed enamel dots in the center to complete the design. I used a couple of doilies with some layers of patterned paper behind my photo....I then created a small cluster of die cuts with a flair to the bottom left hand corner of my photo. 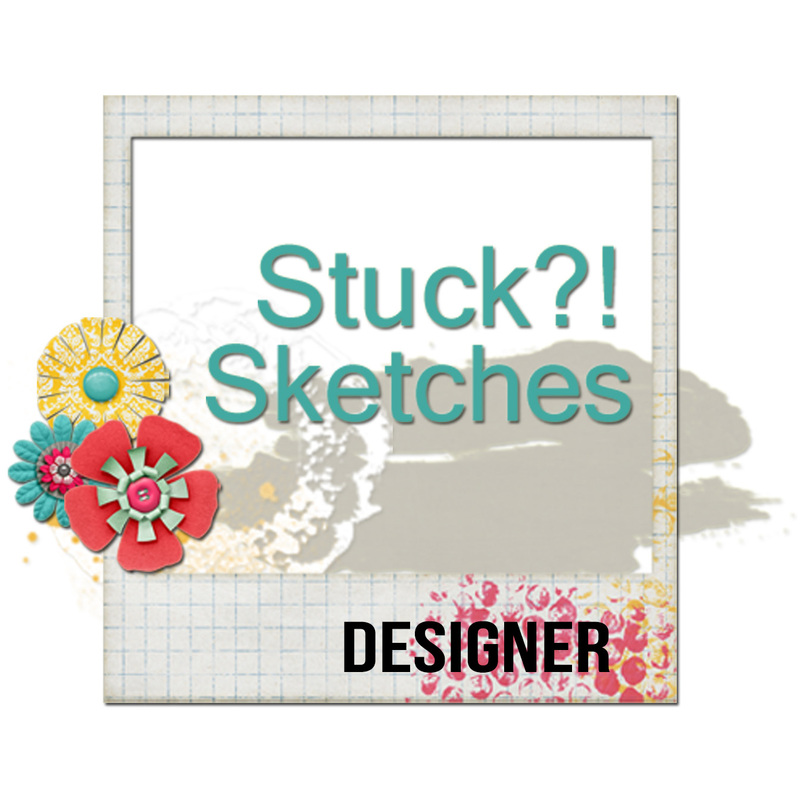 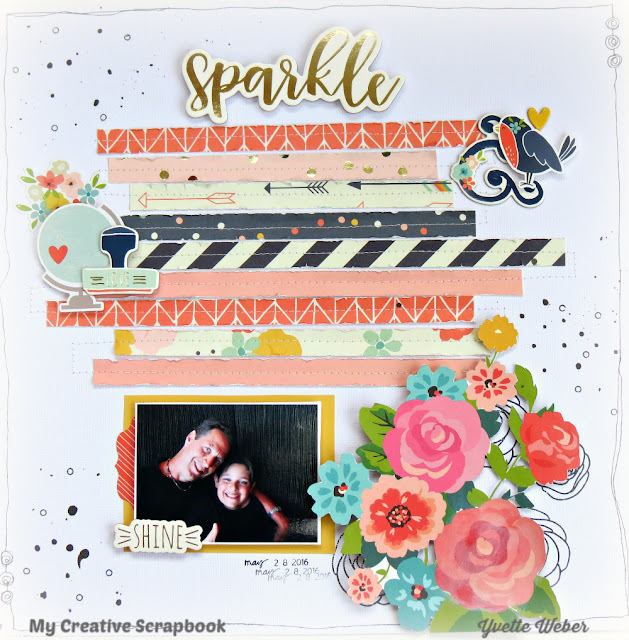 Today I"m back with you to share another design team layout for My Creative Scrapbook that I created using the February Main kit! 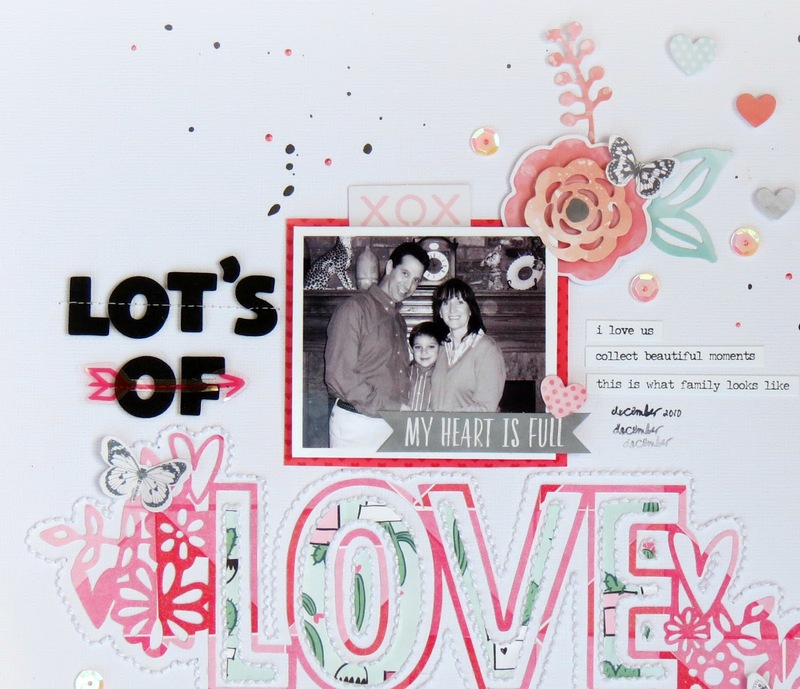 I started my layout by cutting the love from our cut files this month with white cardstock. 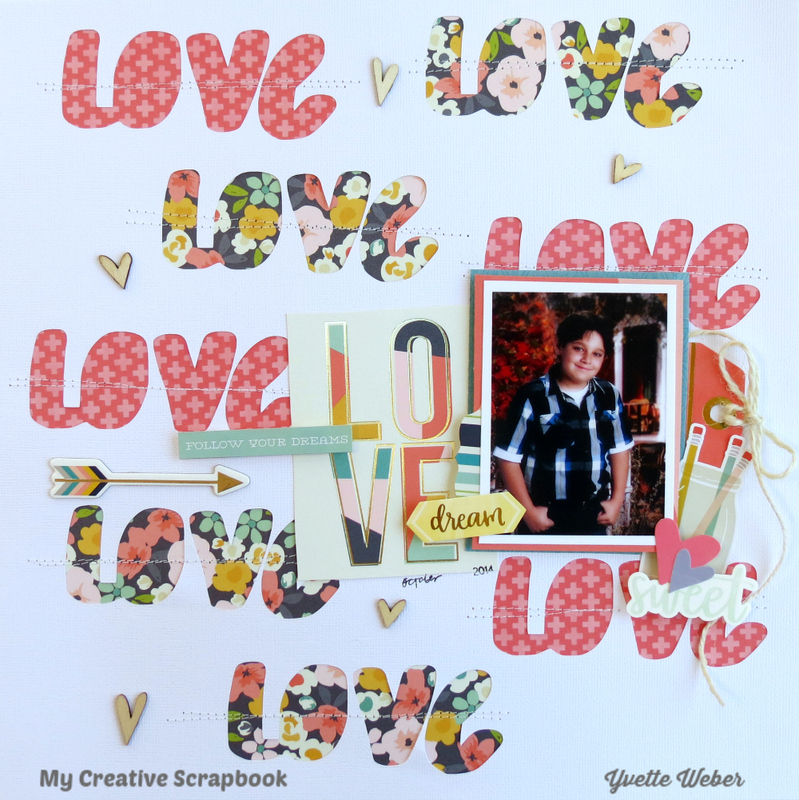 I knew I wanted to only use the word love to create a background, I open the file in my Silhouette and started playing around with the placement of several of the words love...when I was happy with the design I sent to cut. 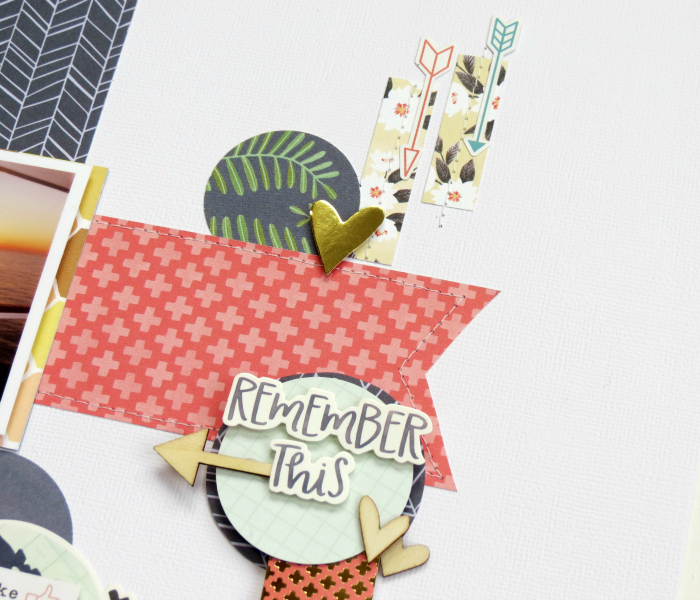 I combine the Simple Stories-Posh and the Hazelwood patterned paper collection to back my cut file and then added machine stitching across each one for some added texture. 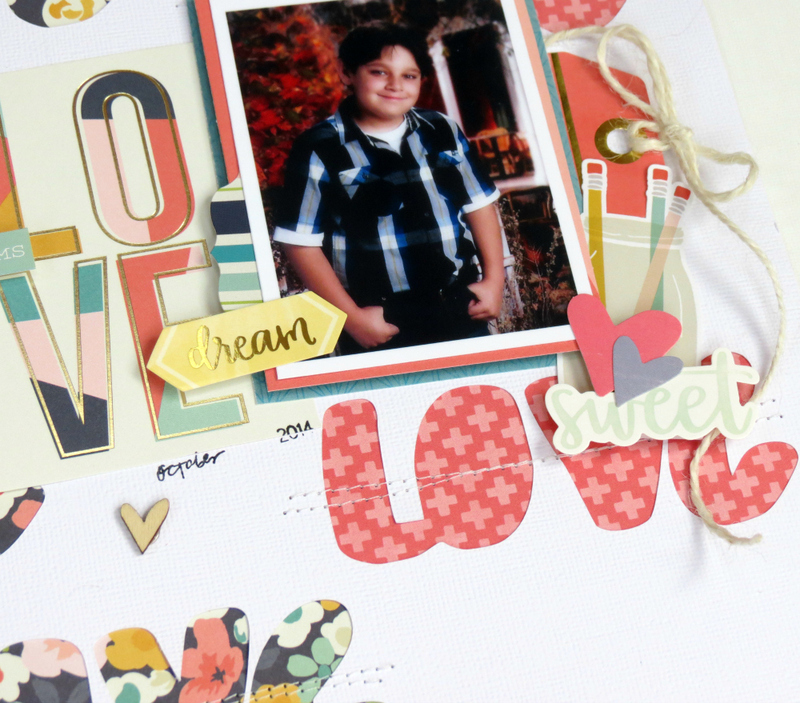 I added some layers of patterned paper behind my photo and then I created a small cluster of stickers on the bottom right hand corner of my photo and also tucked a tag sticker underneath. 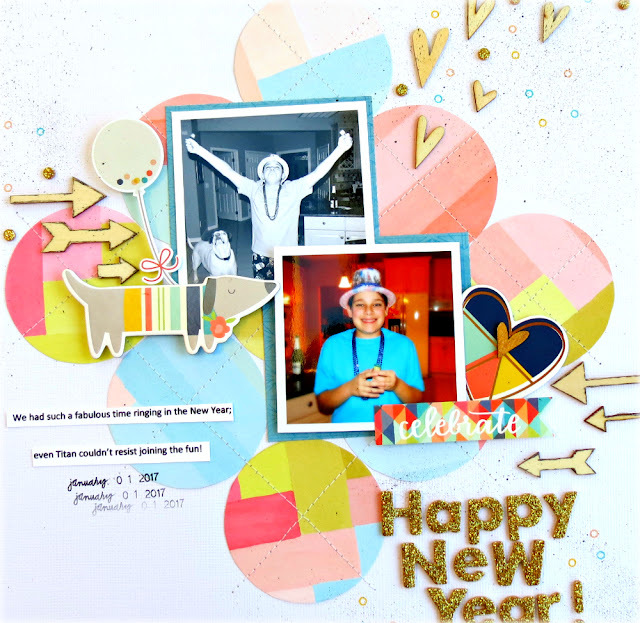 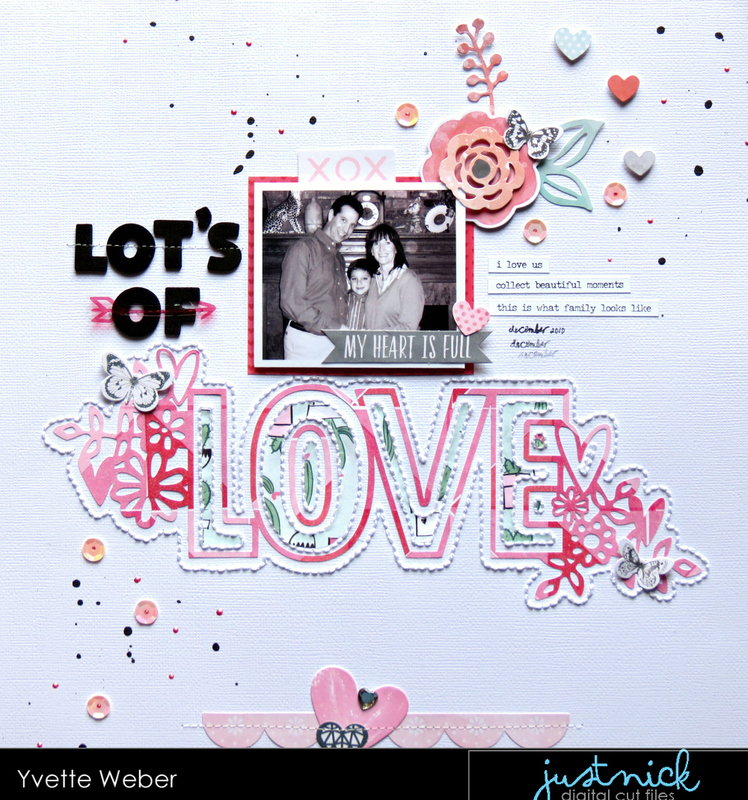 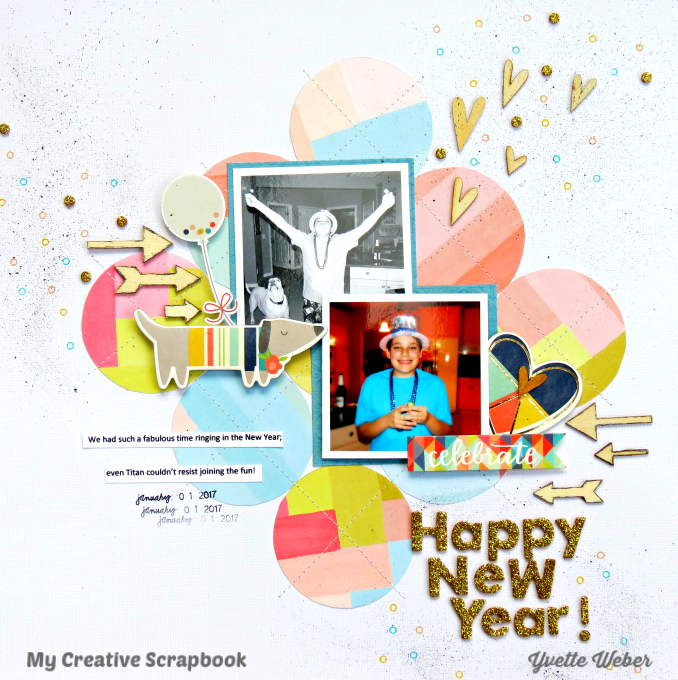 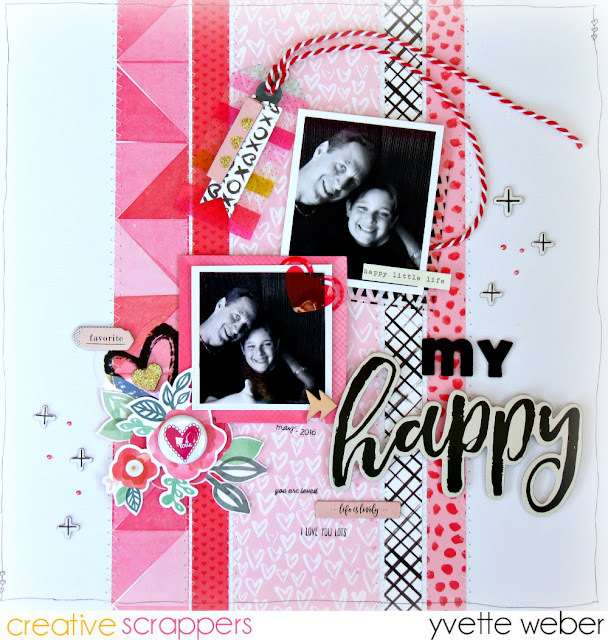 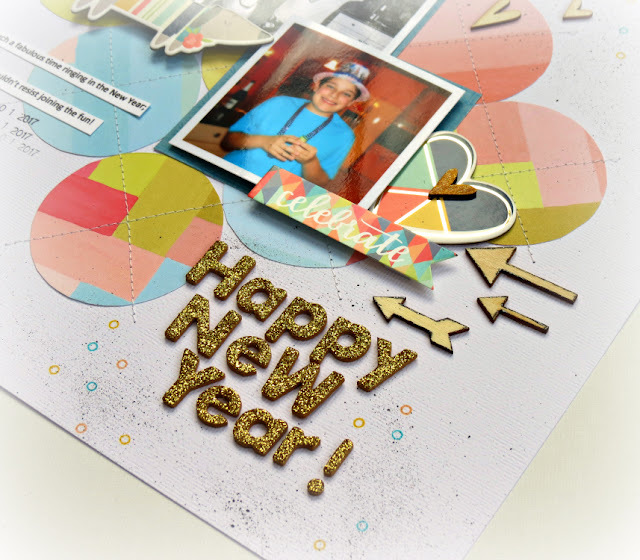 Today I'm back to share another layout using My Creative Scrapbook - February Main Kit. 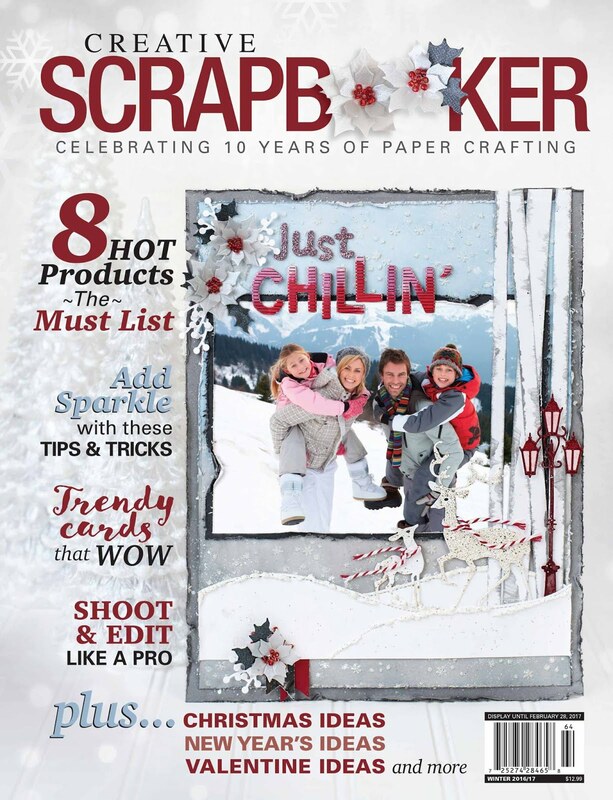 For this layout I used one of the fabulous design in this month cut file created by Anita Bownds of Neat N Crafty ! 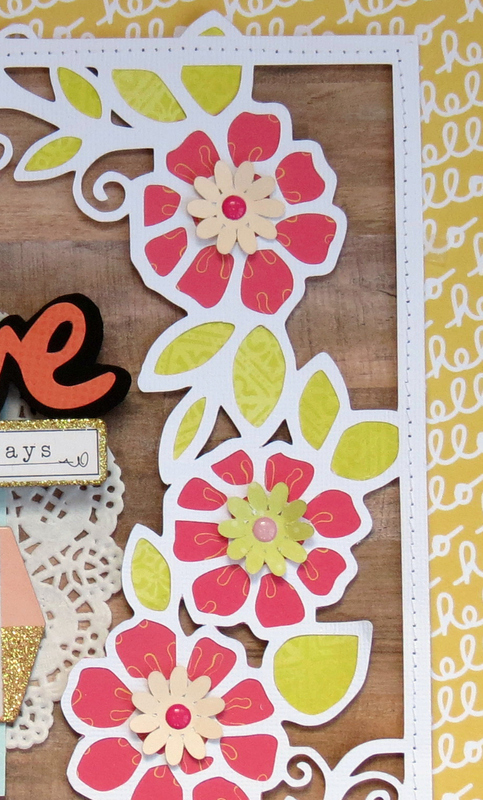 I used the flower in the upper right hand corner. 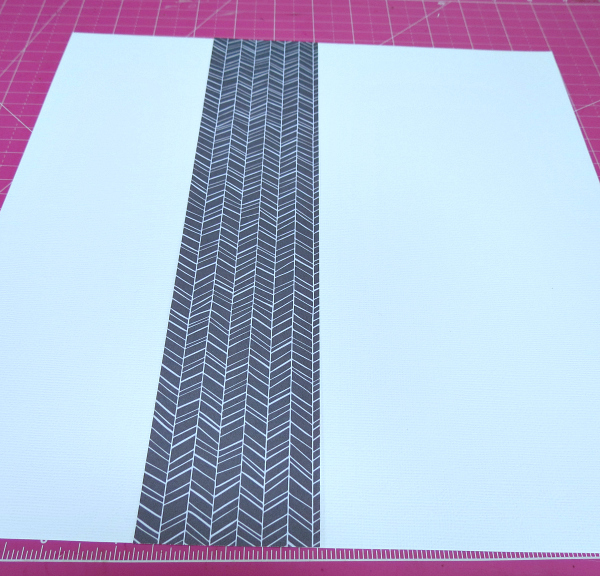 I cut it from white cardstock and then backed it with several selection of patterned papers from the kit. 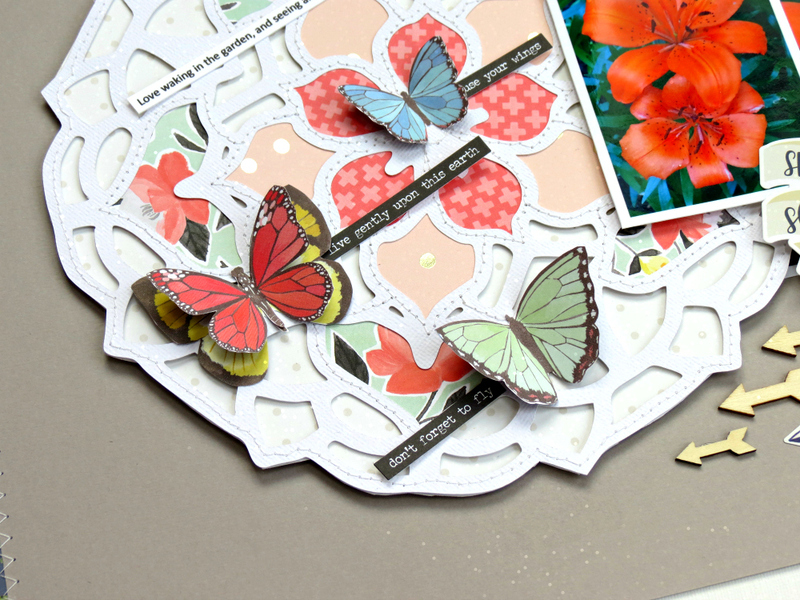 I then added foam dots behind the flower to give it some extra dimension. I created two small clusters of arrows using the wood veneers, stickers and chipboard. 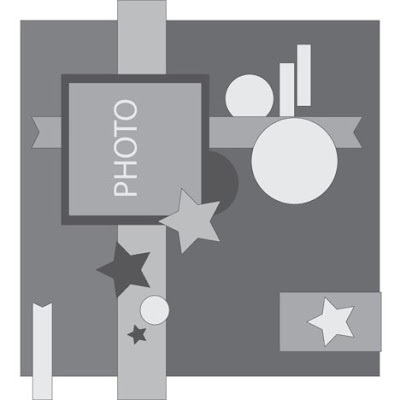 I added one in the upper left corner and the other in the bottom right corner. For my title I used a sticker from the Simple Stories-Posh collection. Today I'm back to share a new layout created for Just Nick Studio using this week free cut file Free Love! 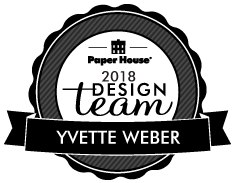 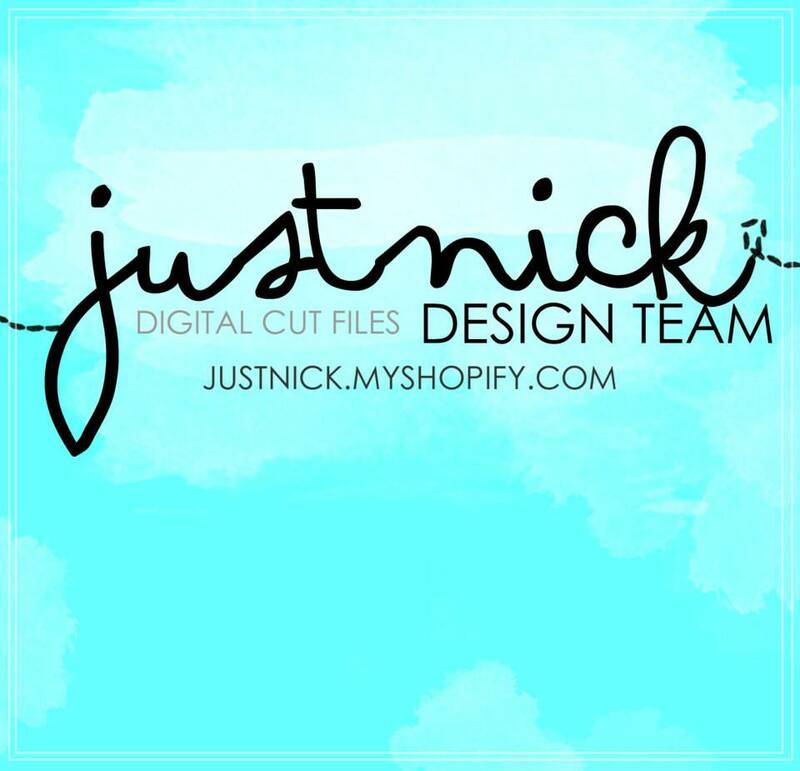 All this week the Design Team at Just Nick will be sharing a project using the Free Love cut file and for this week only you can grab it for free! 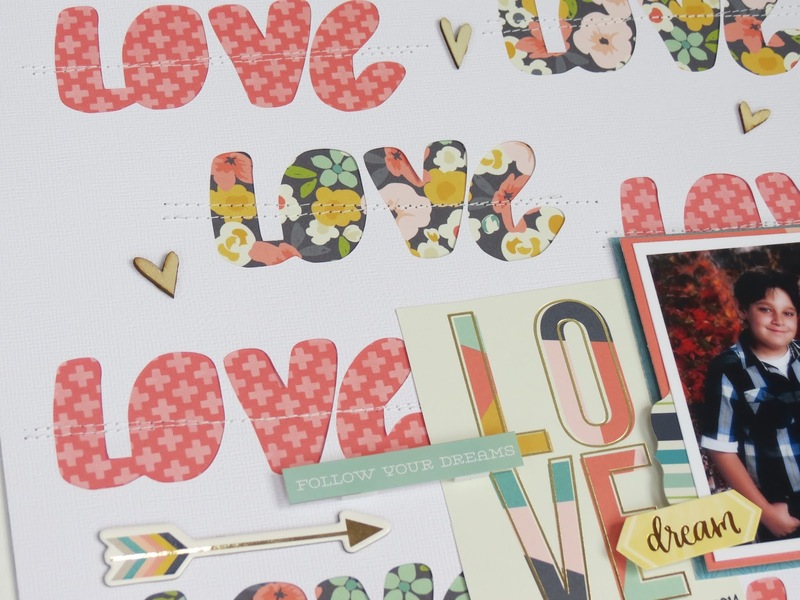 I knew I wanted to handstitched the Free Love cut file...so after selecting which of the design I wanted to use on my page, I cut the image out using the heart day collection from Crate Paper. 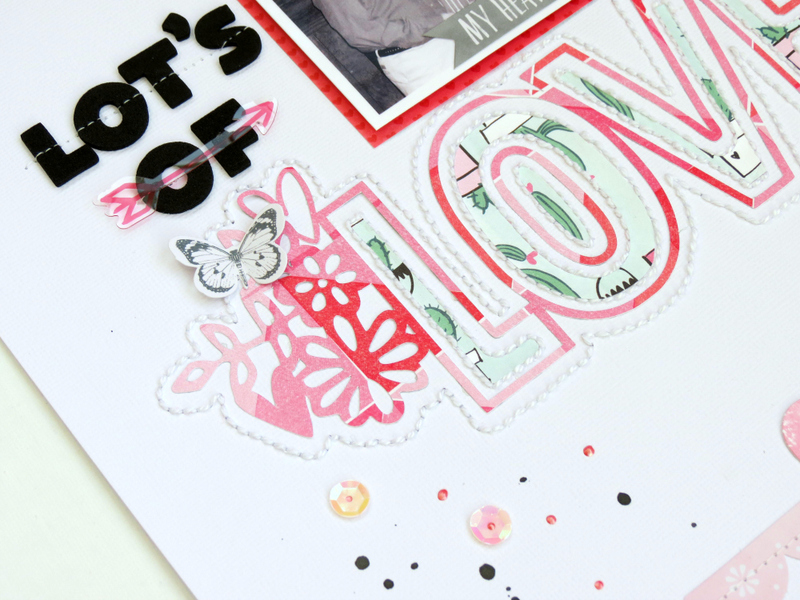 Once this was finish I used the offset function in Silhouette to create an outline, which I use as a guideline for my stitching. 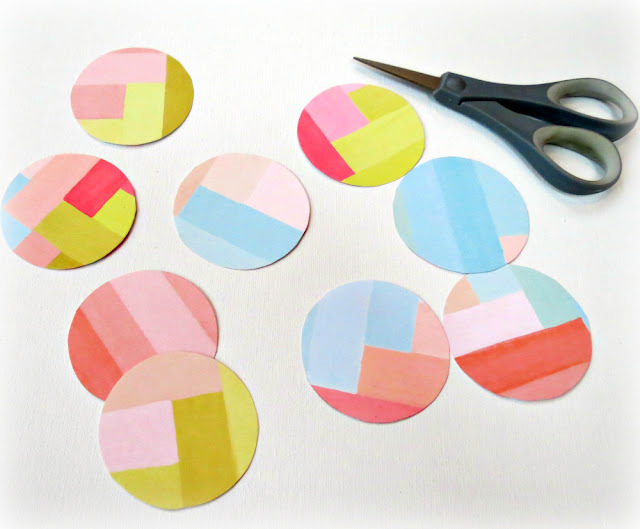 Before I delete the offset image I also cut it out using some patterned paper. 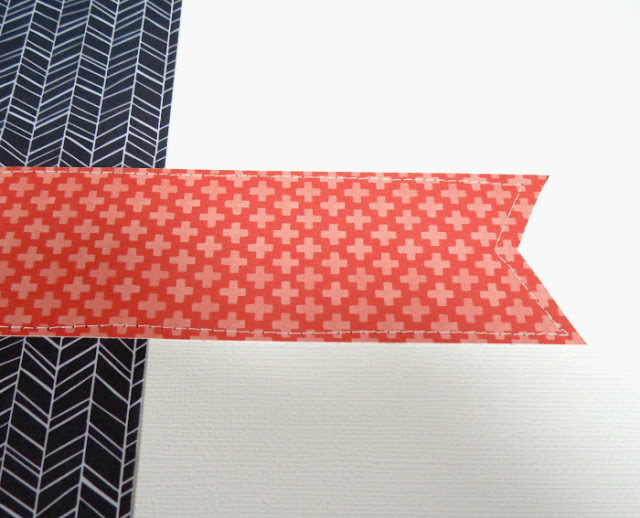 I chose to do my stitching first, after which I inserted the patterned paper into the stitched area and adhere it in place. 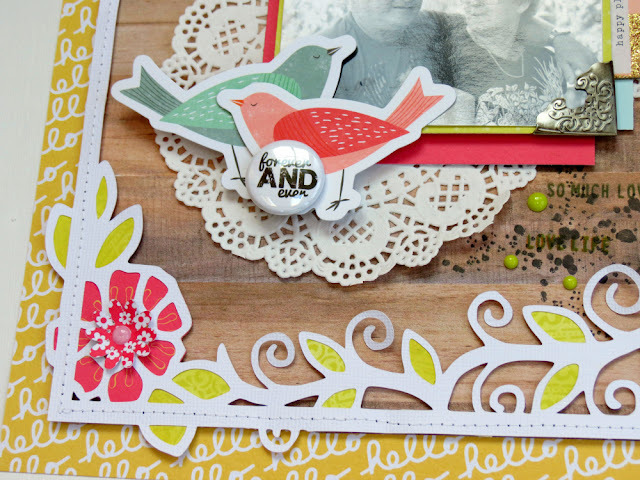 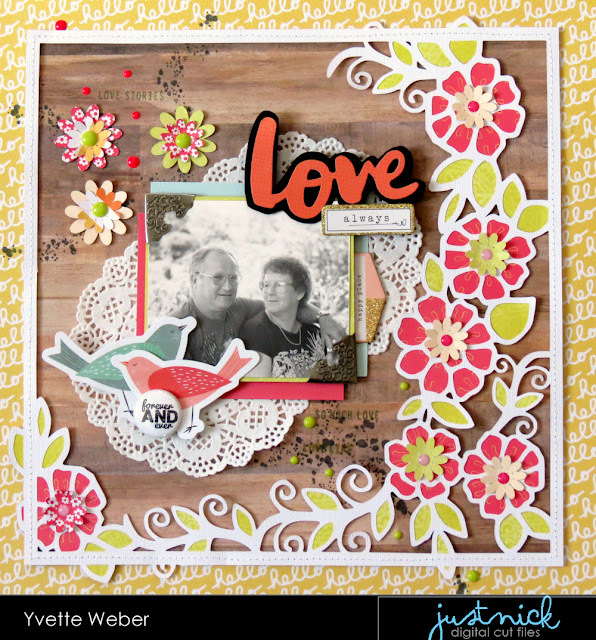 On the top right hand corner of my photo I added a small cluster using some die-cut ephemera and bits&pieces from Cocoa Vanilla Studio-Love Always collection. 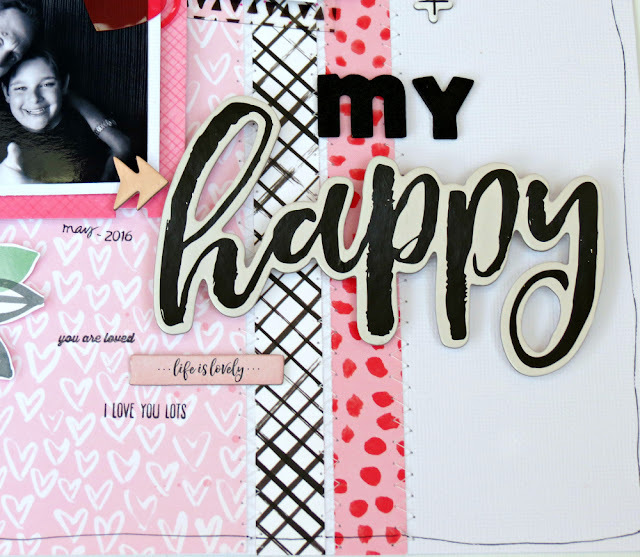 I combine some foam letter stickers with the free love cut file to create my title and run some machine stitching across it. 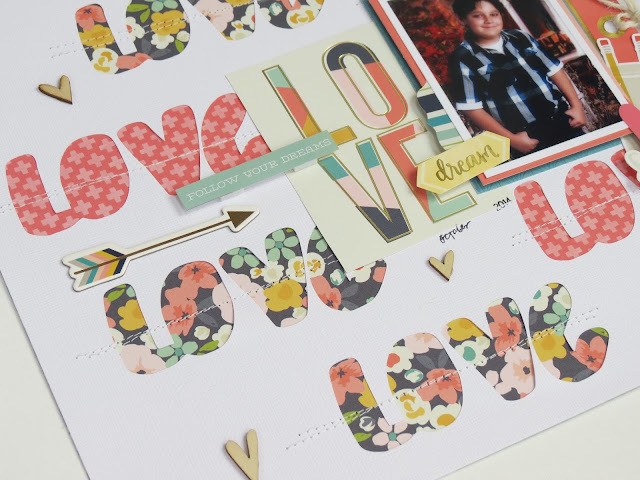 For this week only grab the FREE LOVE cut file for FREE just use the code-FREELOVE at checkout. 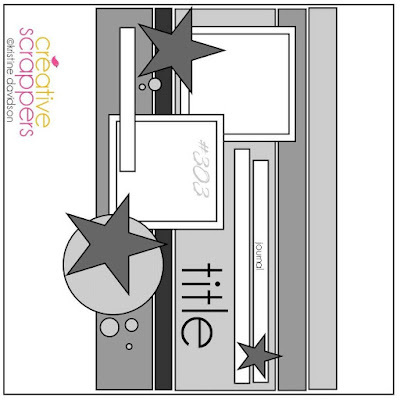 Today I'm sharing a new layout for My Creative Scrapbook Kit Club using the gorgeous February Main Kit! 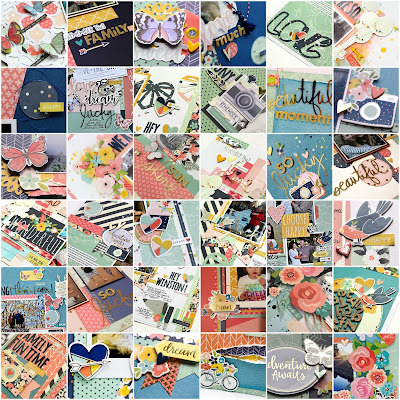 I select several different patterned papers and cut each one into a one inch strip...I then lay the paper strips horizontally down on a 12x12 white cardstock and added some machine stitching. I fussy cut the flowers from one of the patterned paper in this month main kit....to add a little more texture to my page, I stamped a few flowers underneath and added a few foam dots to the back of the flowers to give it some extra dimension. 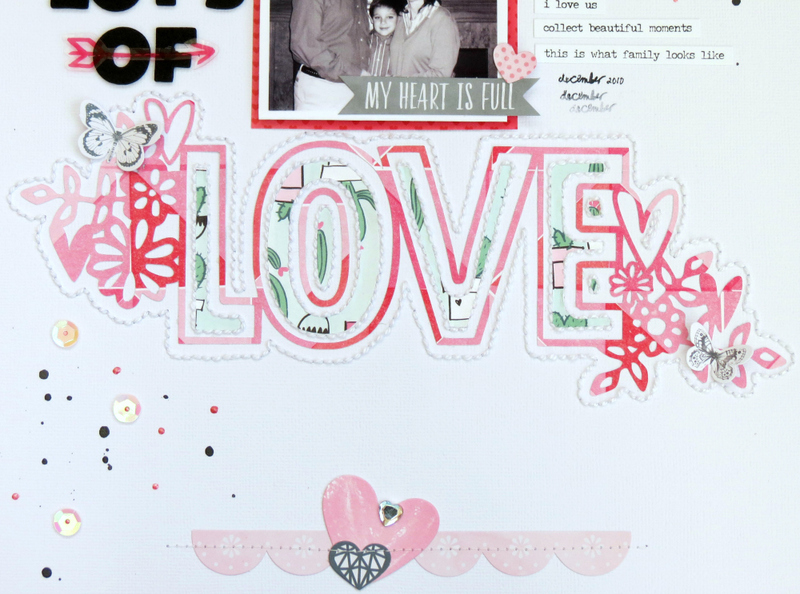 I created a couple of little clusters using some stickers and chipboards to the top right and left of my page. I love how all the embellishments coordinate in this kit make it easy to created beautiful clusters! 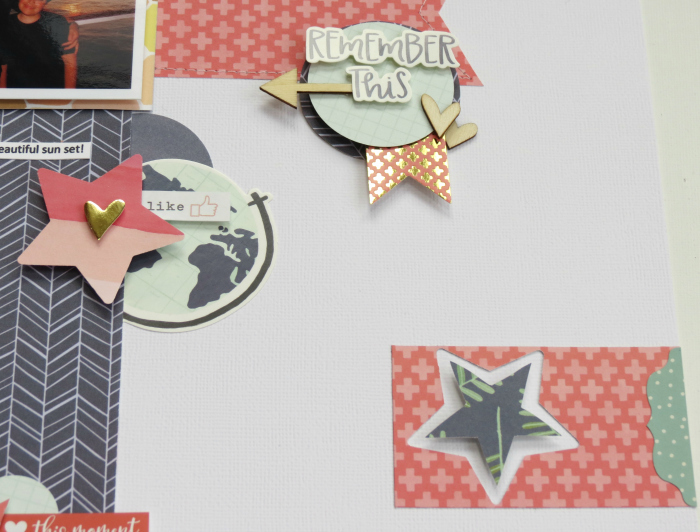 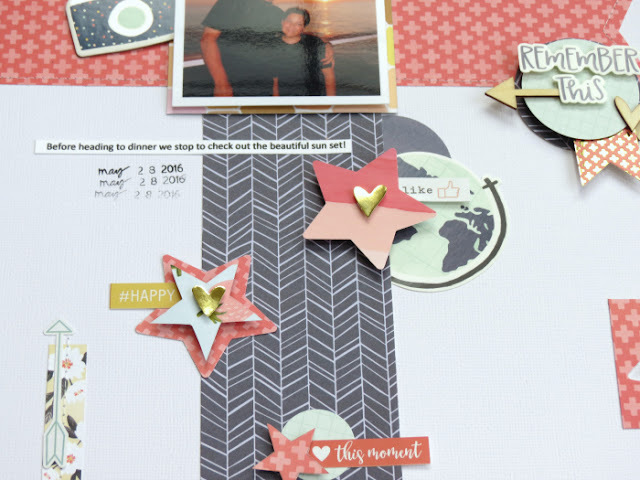 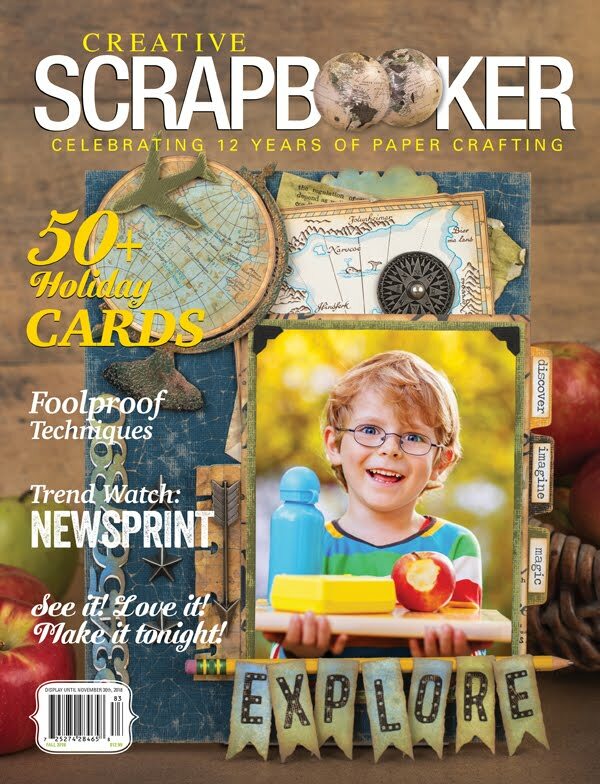 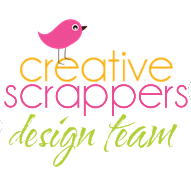 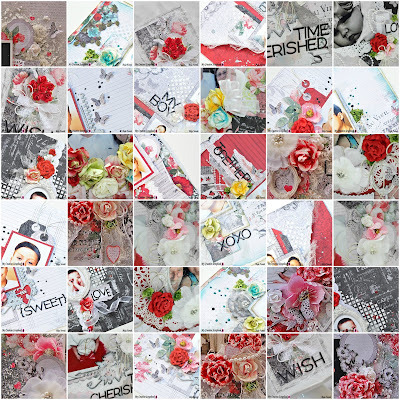 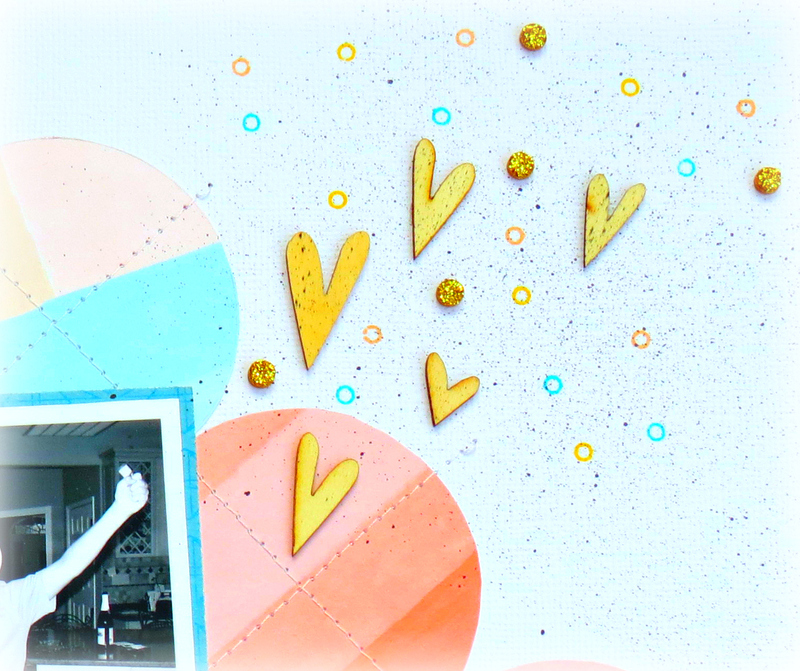 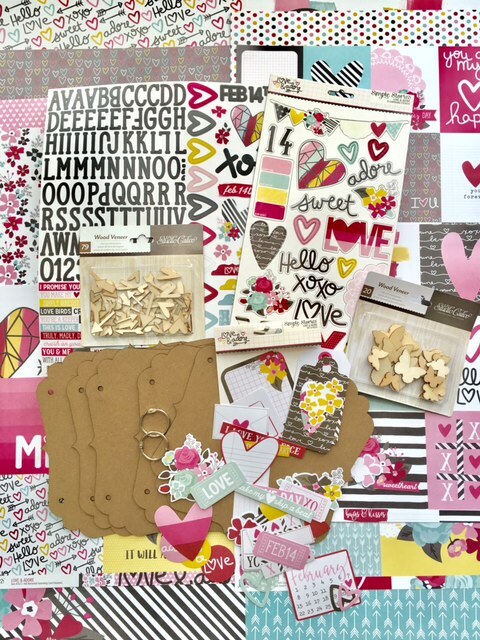 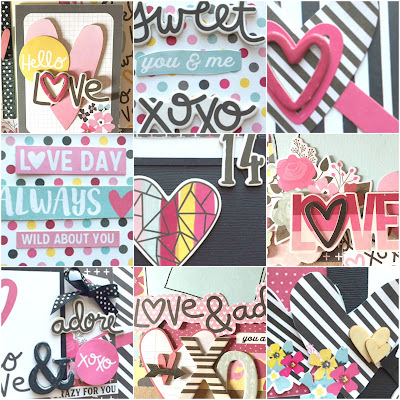 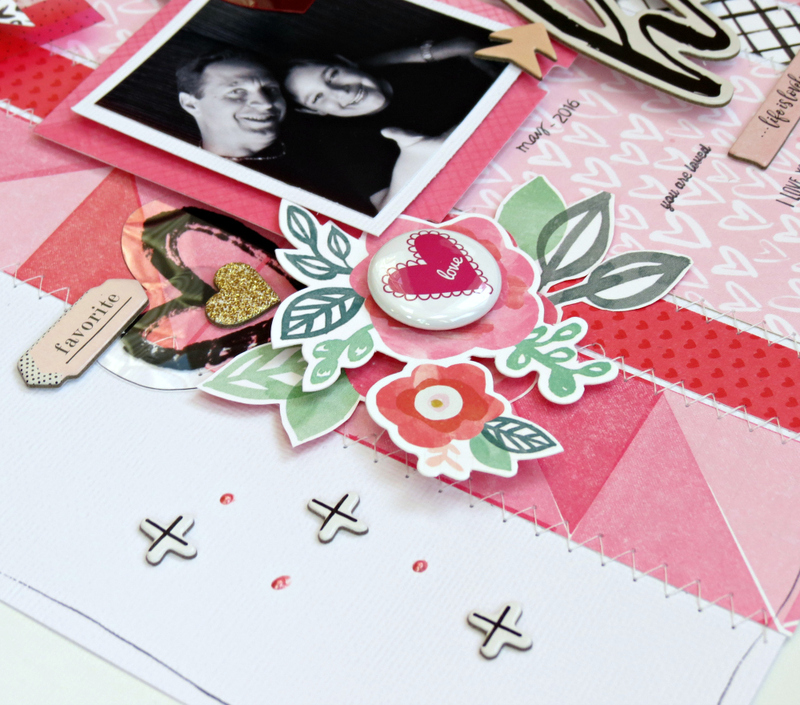 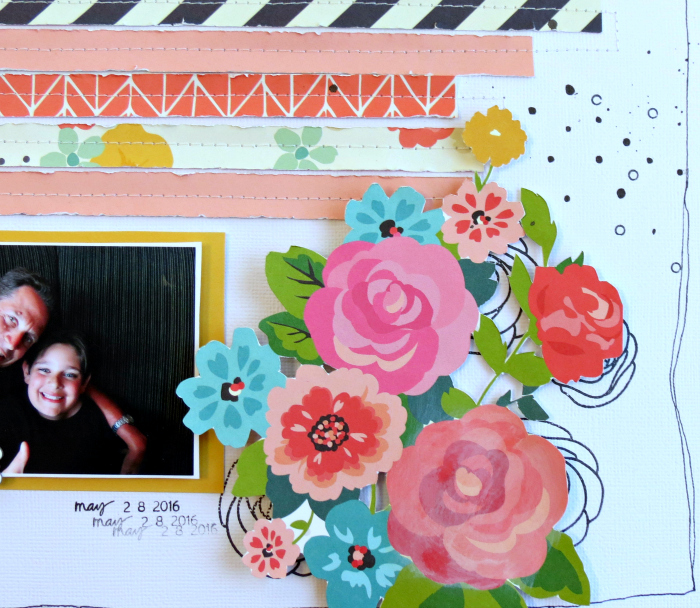 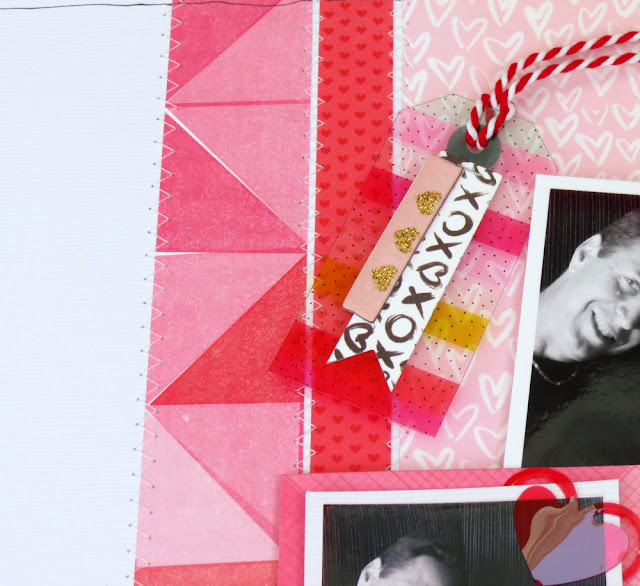 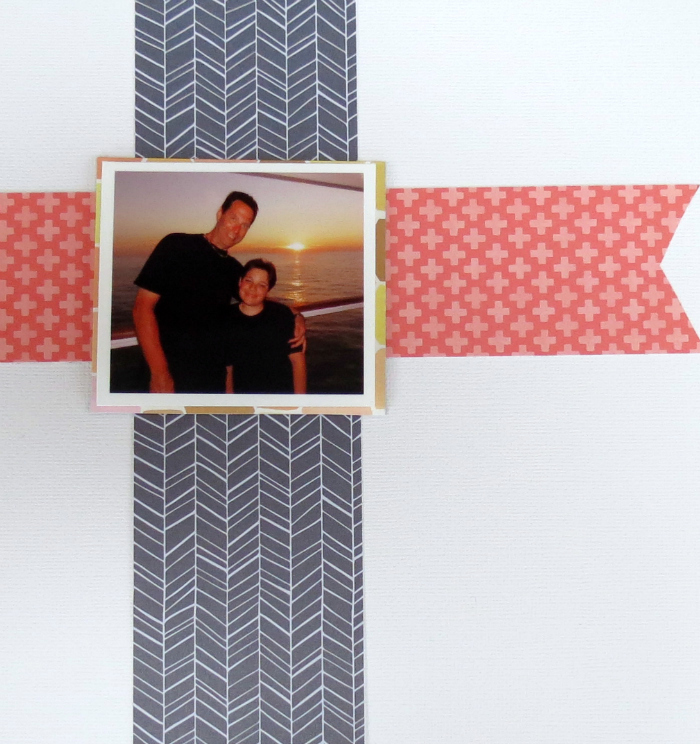 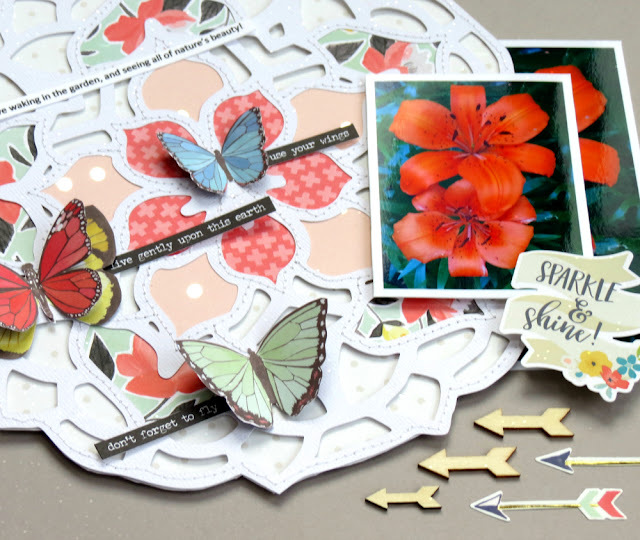 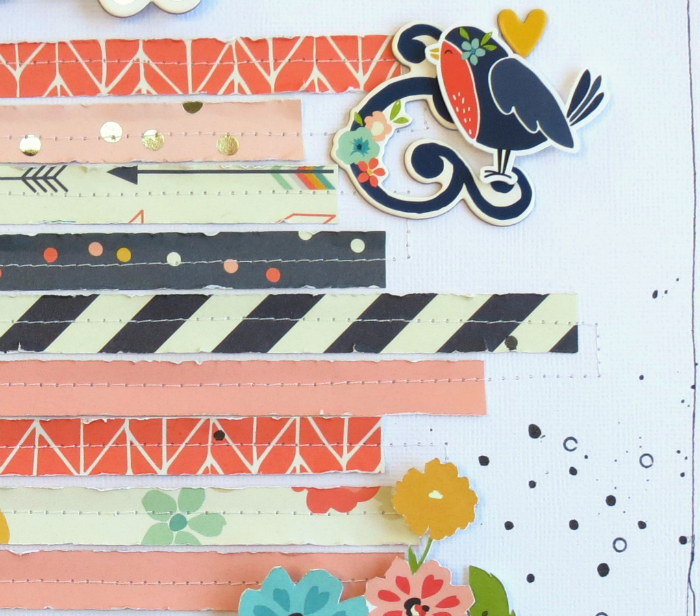 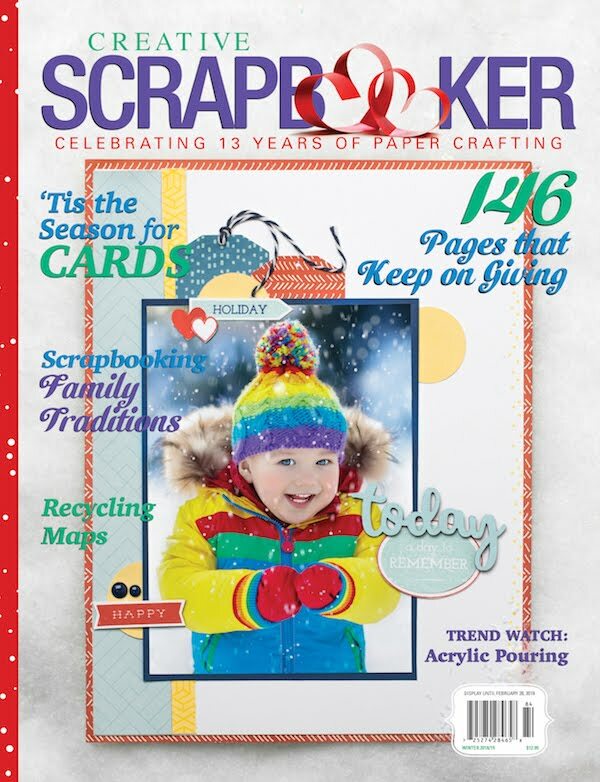 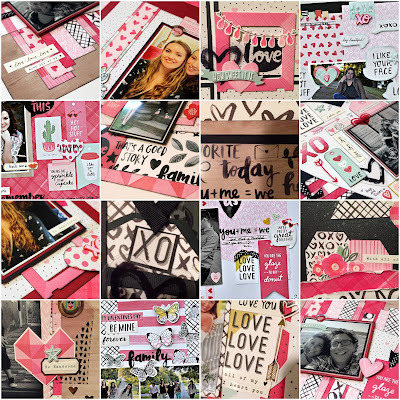 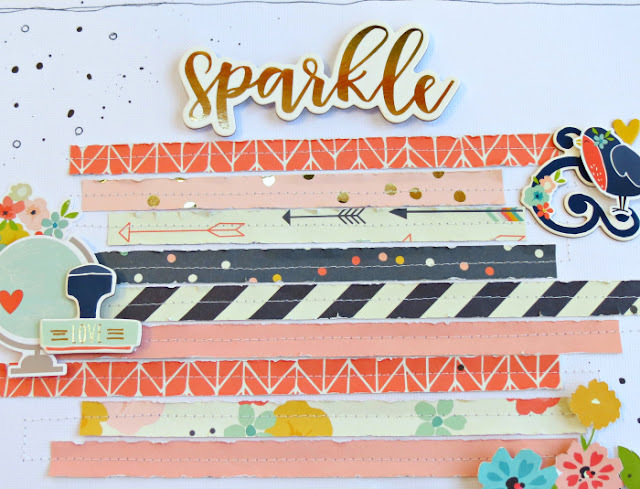 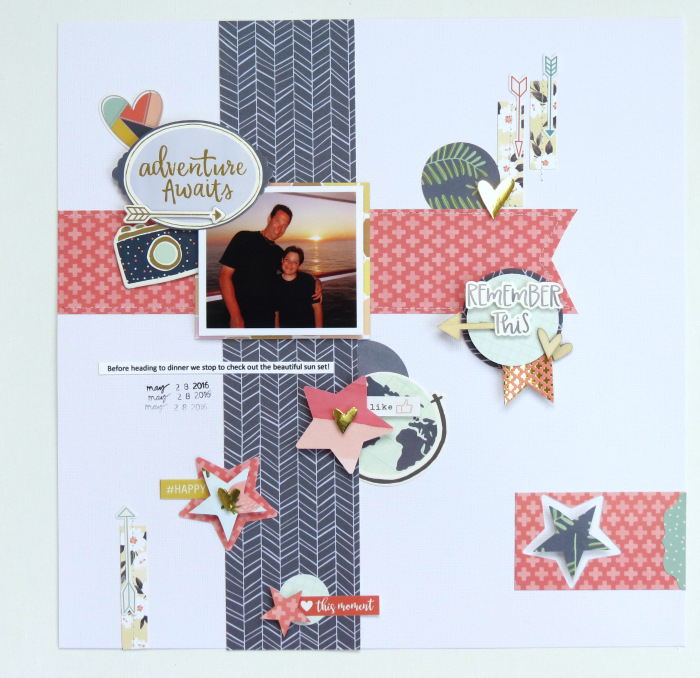 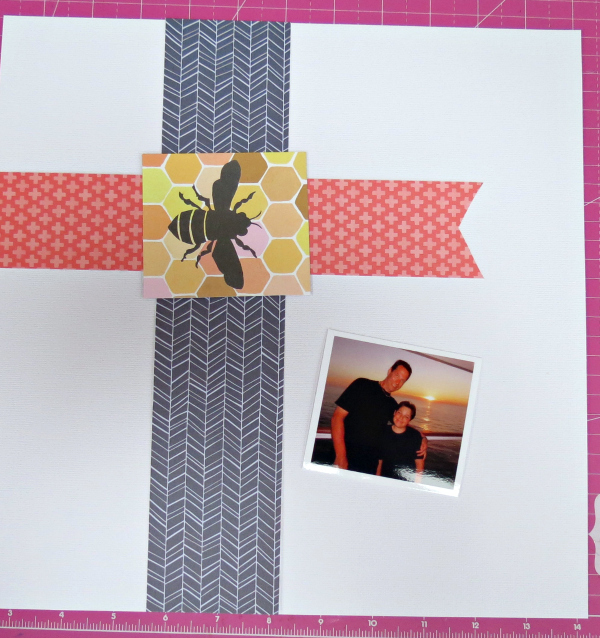 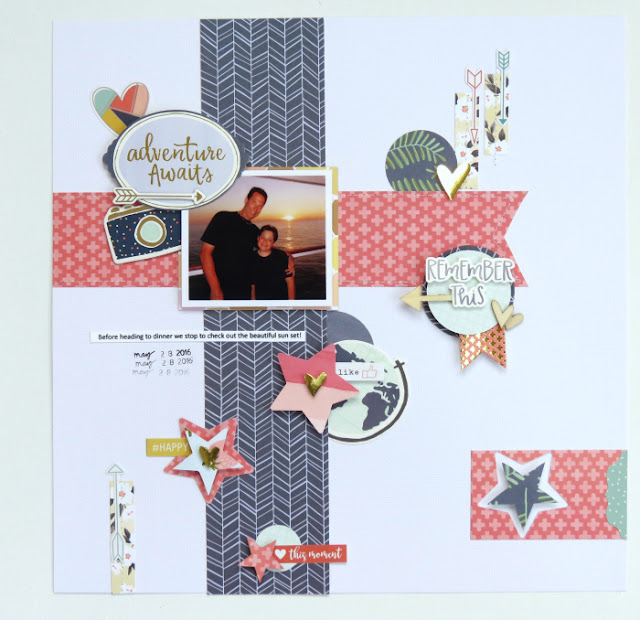 It's time for My Creative Scrapbook February-kits reveal! 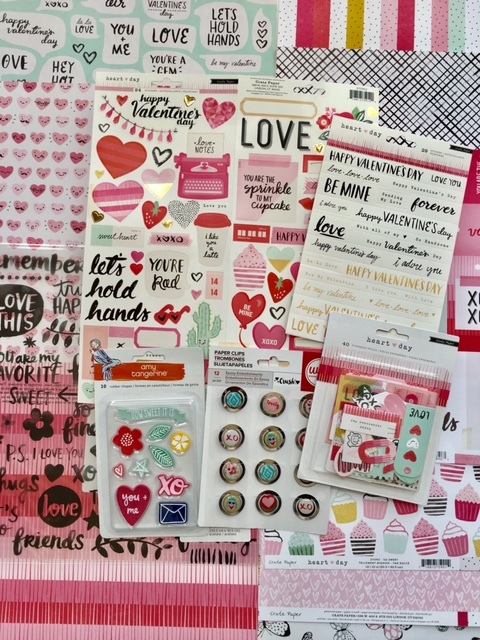 The February kits are filled with lot of fabulous products! 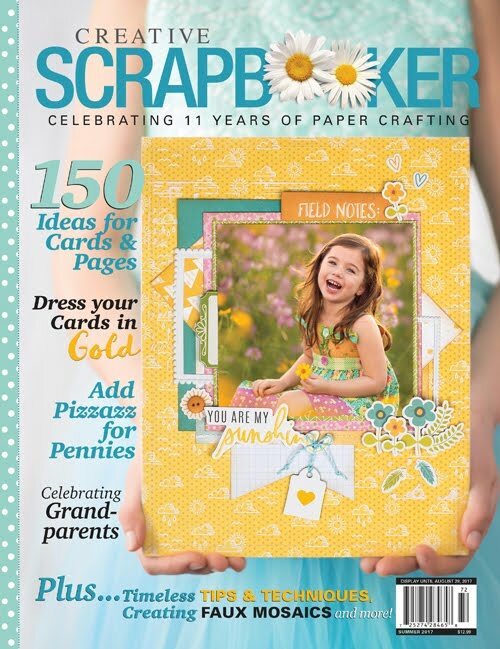 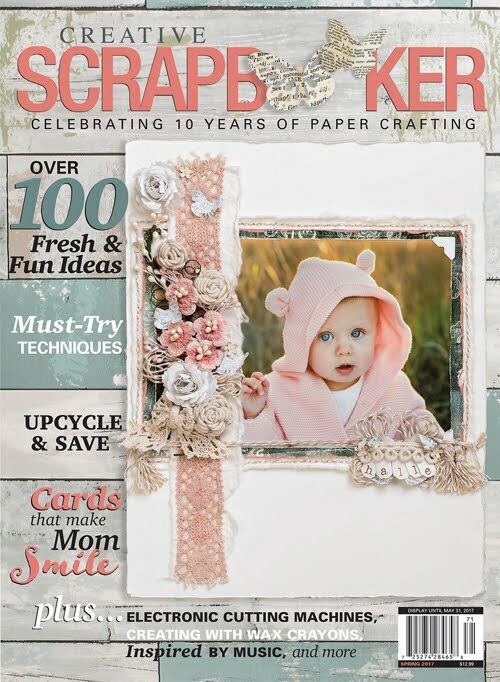 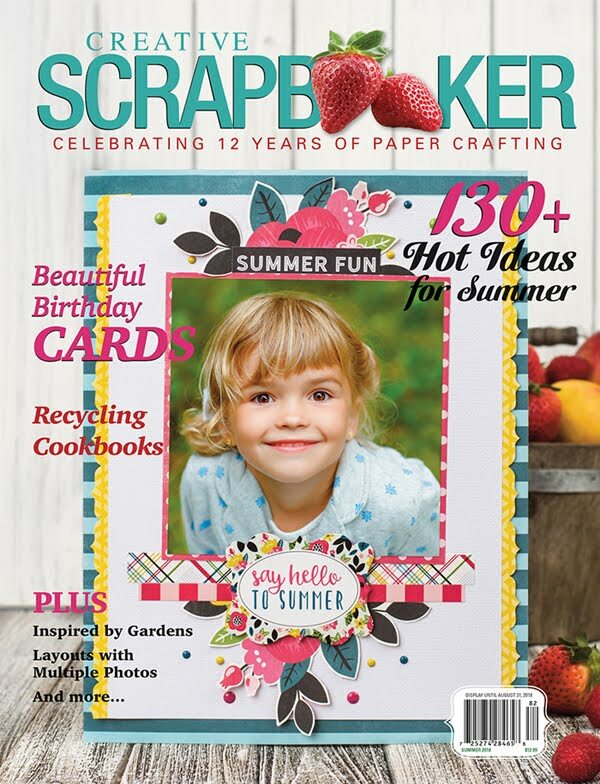 You'll find a lovely assortment of patterned papers and perfectly coordinating embellishments. 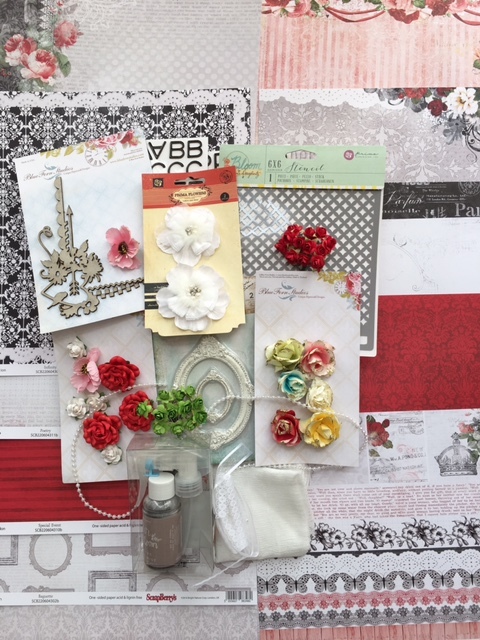 Each month you get choose from four different kits-so whether your style is clean & simple, shabby chic or something in between, there is something for everyone!